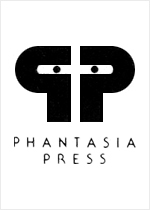 Phantasia is a small but proud publishing house, focusing on limited edition Science Fiction hardcovers. Phantasia goes for quality, not quantity, and has put forward titles from a small but impressive list of authors, including Philip Jose Farmer and Roger Zelazny. Phantasia Press is not currently accepting any submissions, either with or without an agent.